DON’T MISS: “American Idol” – “You’re going to Hollywood!” Yes, that line still carries a lot of emotional magic, and a whole new group of wannabe pop stars will be yearning to hear it as the singing competition launches a new season. 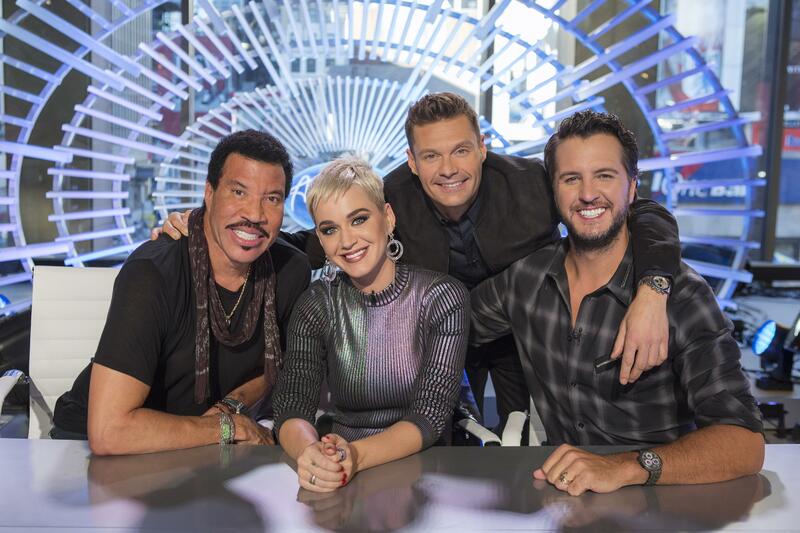 Returning to the judges panel are Luke Bryan, Katy Perry and Lionel Richie. In the opener, they and host Ryan Seacrest set out on a nationwide talent search that includes the show’s first-ever stop in Idaho, where they filmed in Coeur d’Alene. (8 p.m. Sunday, ABC). SUNDAY: “Leaving Neverland” is a controversial, two-night, four-hour documentary about two men who allege that late pop superstar Michael Jackson sexually abused them as children. The program contains explicit descriptions of sexual relations. (8 p.m., HBO). SUNDAY: “Free Solo,” which just won the Academy Award for best documentary feature, is a dizzying, breathtaking film. It follows rock climber Alex Honnold’s brazen attempt to scale the 3,000-foot wall of granite known as El Capitan in Yosemite National Park without the aid of ropes and safety equipment. (9 p.m., National Geographic). MONDAY: The noir thriller “I Am the Night” calls it a wrap. When Fauna hears what happened to Jimmy Lee, she frantically tries to get home. But as Watts explodes into chaotic riots, her way out harbors a nightmarish trap. Meanwhile, Jay stews in a cell that overflows with rioters, his options diminishing as the hours pass. (9 p.m., TNT). TUESDAY: In Gordon Ramsay’s “MasterChef Celebrity Showdown,” somewhat famous people engage in the ultimate “snack-down.” The roster of culinary competitors includes Trai Byers, Cheryl Hines, Anthony Anderson, Kal Penn, Jordana Brewster and more. (8 p.m., Fox). WEDNESDAY: Gordon Ramsay, apparently, is everywhere. Tonight brings the season finale of his “24 Hours to Hell and Back” series. It has him traveling to Los Angeles to revamp two restaurants. (8 p.m., Fox). THURSDAY: When Season 2 of the campus comedy “A.P. Bio” begins, Jack is setting his sights on a new mission: Write the most brilliant philosophy book ever and get out of Toledo for good. We’re not betting on success. (8:30 p.m., NBC). THURSDAY: When we last left the intrepid firefighters of “Station 19,” the fates of Andy and Sullivan were unknown after they became trapped in an overturned aid car during a violent windstorm. The drama returns tonight and we’re holding our breath. (9 p.m., ABC). FRIDAY: Ricky Gervais (“The Office”) returns to series television in “After Life.” He plays a man who, after his wife dies, contemplates taking his own life. Instead, he decides to live long enough to punish the world by saying and doing whatever he likes from now on. (Netflix). FRIDAY: Say “Aloha” to Joan Collins as she makes a guest appearance on “Hawaii Five-0.” The veteran actress plays Danny’s ex-mother-in-law, a wildly famous romance novelist with whom he has never gotten along. (9 p.m., CBS). SATURDAY: The 2018 big-screen blockbuster “Jurassic World: Fallen Kingdom” makes its cable TV premiere. Set on the fictional Central American island of Isla Nublar, it follows Owen (Chris Pratt) and Claire (Bryce Dallas Howard) as they attempt to rescue the remaining dinosaurs before a volcanic eruption. (8 p.m., HBO).